Speedway, Ind. - Eight additional inductees into the USAC Hall of Fame have been announced, joining the 12 inaugural inductees announced in 2012. The new class includes four drivers, one car owner, one mechanic, one official and one race organizer. An additional four inductees will be selected by popular vote from a list of 16 eligibles released this week through social mediums. The second annual USAC Hall of Fame induction ceremonies will be held May 18 at Raceway Park in Indianapolis, Ind. in conjunction with the annual USAC “Hall of Fame Classic” Traxxas Silver Crown Championship race. The eight-member class of inductees announced today include (alphabetically) Earl Baltes, Henry Banks, Pancho Carter, Al and Bobby Unser, A.J. Watson, Don White and Bob Wilke. Henry Banks, who passed away in 1994, left a significant legacy with the United States Auto Club. He served as USAC’s Competition Director during the formative years between 1959 and 1969. His driving career began in 1932 and he earned the 1941 ARDC Midget title before winning the 1950 AAA National Driving Championships. He was a six-time starter in the Indianapolis 500 and the 1962 winner of the prestigious Eddie Edenburn Award made a cameo appearance in the racing classic Roar of the Crowd. He is also a member of the National Midget Auto Racing Hall of Fame. 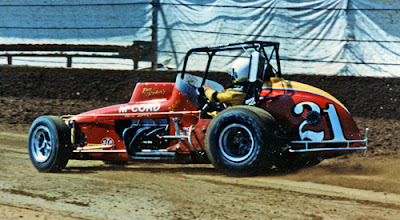 Pancho Carter, the son of 2012 USAC Hall of Fame inductee Duane Carter, earned 70 USAC National feature victories in various series and became USAC’s inaugural Triple Crown Champion, winning the 1972 Midget, 1974 and 1976 Sprint Car and 1978 Silver Crown titles. The 1974 Indianapolis 500 Rookie of the Year posted 17 Indianapolis 500 starts, winning the pole in 1985 and finishing third in 1982. A member of both the National Sprint Car and Midget Halls of Fame, he won the 1981 Michigan 500 at Michigan International Speedway. Al Unser, one of only three four-time winners of the Indianapolis 500 (1970-71-78-87), posted a total of 48 wins in USAC National competition. A three-time USAC National Driving Champion, he also won the 1973 Silver Crown title and strung together a remarkable four consecutive Hoosier Hundred wins between 1970 and 1973. The 1978 International Race of Champions king, Al continues to lead all drivers in terms of Indianapolis 500 laps led at 612. He also won races in the USAC Stock Car and Formula 5000 Championship. Bobby Unser is the only driver to win USAC feature events in five different decades! He capped his career with the 1993 title in the USAC Fast Masters after scoring three wins in the Indianapolis 500 (1968, 1975 and 1981). A two-time USAC National Driving Champ, he also won the 1975 IROC title and totaled 43 USAC feature wins in a variety of categories during his career. Part of his legend includes a sensational 13 victories in the prestigious Pikes Peak Hill Climb in Colorado. A.J. Watson’s expertise as a car builder and mechanic earned his cars seven victories at the Indianapolis 500. Drivers Bob Sweikert, Pat Flaherty, Rodger Ward, Jim Rathmann, Parnelli Jones and A.J. Foyt all piloted Watson creations to victory lane. A member of the Motorsports Hall of Fame of America, Watson scored 27 wins as a USAC Sprint Car owner and is also a member of the National Sprint Car Hall of Fame. In 1958 Rathmann piloted a Watson-built car to victory in the “Race of Two Worlds” 500-mile event at Monza, Italy. A.J. was awarded USAC’s Eddie Edenburn Award in 1983 and Lincoln Electric Mechanical Achievement Award in 2006. Between 1961 and 1969 A.J. participated as a member of the USAC Board of Directors. 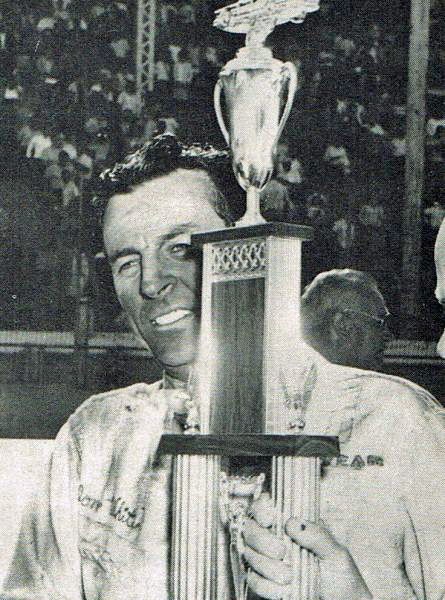 Don White is the winningest USAC Stock Car driver of all time. Known as the “Richard Petty of the North,” White earned 53 victories in the USAC ranks and posted a remarkable 14 wins at the famed Milwaukee Mile. The iconic leader of the Keokuk, Iowa racing clan, he competed in NASCAR races between 1950 and 1972 and in 1966 finished third in a 100-miler behind Paul Goldsmith and Richard Petty at Daytona Beach, Fla.
Patriarch of the famed Wilke Racing family, Bob was Rodger Ward’s car owner at the 1959 Indianapolis 500 and returned with Ward to win in 1962. He also added a 1968 victory at Indy with Bobby Unser. The Wilke family holds the all-time lead in terms of USAC feature race wins – 145 – with 31 different drivers earning National wins in their cars, which also earned numerous USAC car owner championships. In 2003 the family was awarded USAC’s Jim Blunk Award in recognition of their contributions to Midget auto racing. The inaugural 12 inductees announced in 2012 included (alphabetically) J.C. Agajanian, Mario Andretti, Gary Bettenhausen, Tom Binford, Jimmy Bryan, Duane Carter, A.J. Foyt, Tony Hulman, Parnelli Jones, Mel Kenyon, Roger McCluskey and Rich Vogler.